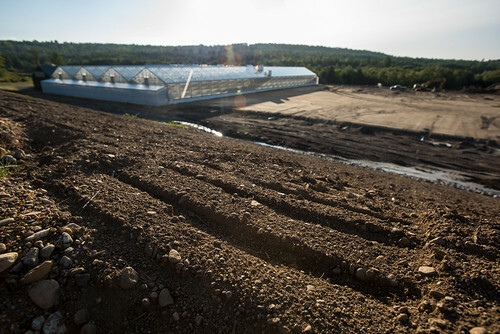 Lēf Farms is hydroponic farm operation built on what was a quarry, in Loudon, NH, on Sept. 1, 2017. The business is expanding and more of the query is becoming new facilities that will increase this resource for organic greens. The precision controlled system can go from harvest to table in 24 hours. USDA Photo by Lance Cheung.